Humankind has used essential oils since the invention of distillation some 1,000 years ago. But, the beneficial properties of essential oils did not begin to spread around Europe until the invention of printing in the early 16th century (1). At that time, essential oils were being recommended for many common ailments, including “afflictions of the brain,” as well as for cosmetic uses, but the concept of hygiene as we know it was several centuries away. In spite of this long history, the word aromatherapy is a 20th century invention (2). It has evolved to encompass the use of essential oils in skincare, psychological well-being, personal hygiene, and health benefits. Aromatherapy can be viewed as these four distinct rationales under one broad banner, and research-based developments in these areas have been intense over the past 20 to 30 years. Essential oils are not magic bullets, but they can offer genuine health benefits, which are often based on their bioactive properties (3-5). There are three principal modes of use for essential oils: topical application, inhalation, and oral ingestion. Topical application is appropriate for targeting the skin, whether for cosmetic or skin-supporting purposes, and it may also be appropriate for general muscular discomfort. Essential oils can have effects such as skin soothing, toning, cleansing, and establishing good hygiene as well (6-8). Inhalation has two principal benefits: It targets both the respiratory system and the nervous system. So, aromatic inhalation may be useful for respiratory support or by positively affecting psychological well-being. In the psychological arena, most of the research focuses on three areas: mood, cognitive function, and calming effects (9, 10). As an example, lavender oil has been studied for how it works in relation to calming and stress-management effects – primarily due to one major constituent, linalool (11, 12). Associative memory is known to be especially strong when linked to an odor (13). This means that once an association between an essential oil and memory or psychological state has been established, the essential oil can be used to evoke the associated memory, emotion, or habit when needed. Oral ingestion can be useful for digestive support. Some essential oils such as peppermint and lavender oils have reported benefits when consumed orally (14, 15). Essence by Isagenix Essential Oil is best consumed as up to one drop mixed into an IsaLean® Shake. The beneficial effects of any essential oil are absolutely determined by its chemistry, and essential oils are quite complex. We can look at a major constituent, like menthol in peppermint, to help us understand how and why peppermint oil does what it does (16). Additionally, the reason menthol provides a cooling sensation on the skin is because it triggers a cold receptor called TRPM8. 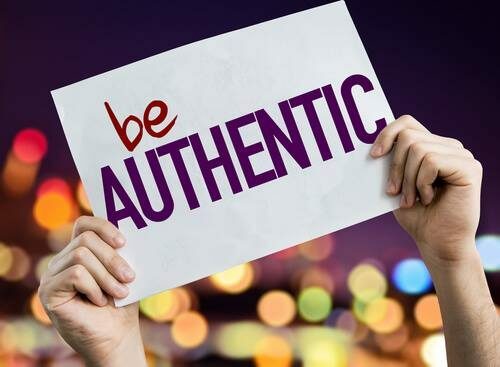 But, we also often see evidence of synergy, meaning that a whole essential oil is more effective than would be expected from its constituents (5, 17). We also see synergy quite often with simple blends of essential oils. Single oils and blends within the Essence by Isagenix Essential Oil collection were expertly created to maximize synergy. The whole essential oils are used and undergo testing to confirm identity and purity. For topical application of the essential oils, Isagenix Coconut Application Oil is offered to ensure ease of use without discomfort to the skin. The reason is that pure, concentrated essential oils can otherwise be irritating to the skin. To minimize skin sensitivity, simply mix the essential oil of choice with a few drops of the application oil. For benefits received by inhalation, the pure essential oils or blends can be diffused using the Isagenix Cool Mist Diffuser. Simply add eight to 10 drops into the diffuser in a large, ventilated space. 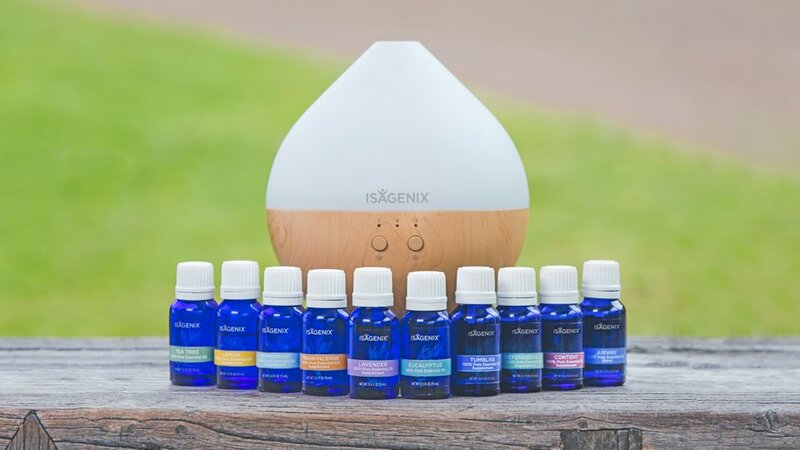 Several Essence by Isagenix Essential Oil products are safe to ingest including Content™, TumBliss™, DefenseShield™, Lavender, Lemon, Frankincense, and Peppermint. Add up to one drop to at least 8 fluid ounces of a beverage. It’s also recommended to try dipping a toothpick into the oil to stir into an IsaLean Shake or Cleanse for Life® drink.